Plants vs Zombies Garden Warfare 2 is the gift that keeps on giving, with the game continuing to evolve at every opportunity. Today we see another expansion hit the battlefield with the Plants vs Zombies Garden Warfare 2 Torch and Tail upgrade. But what does it bring? Well, in a nice little play on words, we see this latest DLC pack deliver two new characters to the fight, alongside the chance to compete in four new trials. Priced up at £7.99, the Torch and Tail upgrade sees the brilliantly named Torchwood arrive for the Plants team, ensuring that if you want a bit of a tank to be found on your team, then he is it. Getting ready for action as the one character who has the highest amount of health yet, Torchwood is a bit of a beast and when you combine those health numbers with a stunning Leaf Shield, will quickly understand how and why he is so difficult to take down. The fact that he can dish out the damage as well as take it helps too, and his Blazin’ Blast and Smoldering Madness attacks will be seeing the Zombie army running for cover at every opportunity. To counter the might of a new Plant though, the Zombie team also have a new soldier ready for action – Hover Goat-3000. Utilising future technologies that allow the user to run and shoot faster and harder than ever before, Hover Goat-3000 doesn’t just have the best name ever, but he’s got a pretty powerful Mega Awesome Laser too. If you’re after something that is stupidly powerful – perhaps to try and take Torchwood down – then this is the weapon for you. Whilst new characters are all well and good the Plants vs Zombies Garden Warfare 2 Torch and Tail DLC on Xbox One also provides further customisation opportunities. 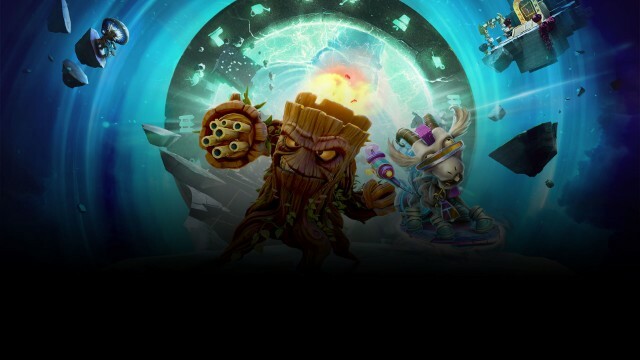 There are no less than 4 Trials of Gnomus Keys available for hunting down and by participating in these trials, you’ll get access to Legendary customisation and Backyard Battleground items. Will they be enough to swing the battle in your favour? Quite possibly! Should you be looking to take your game to the next level and are looking for a bit of an upper-hand on the opposition, or just fancy a bit of a cosmetic change, then the Plants vs Zombies Garden Warfare 2 Torch and Tail DLC is the pack for you. You can find it by visiting your local digital store right now – for us Xbox owners that is the Xbox Store. Those on other formats should be well catered for too though.